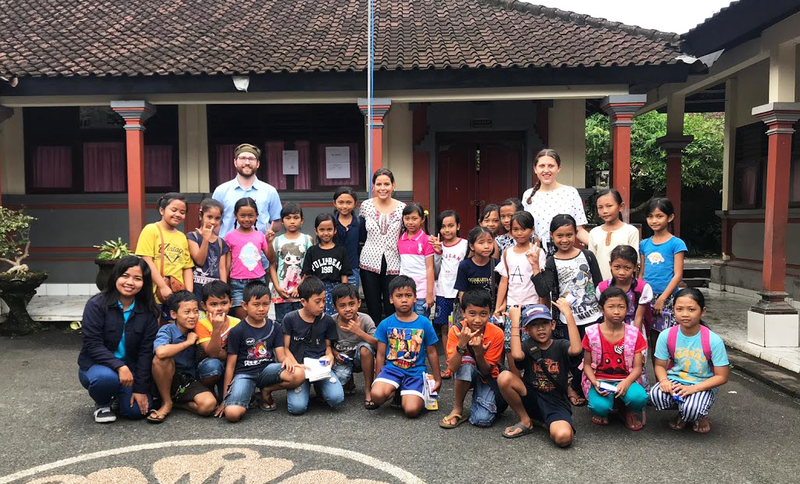 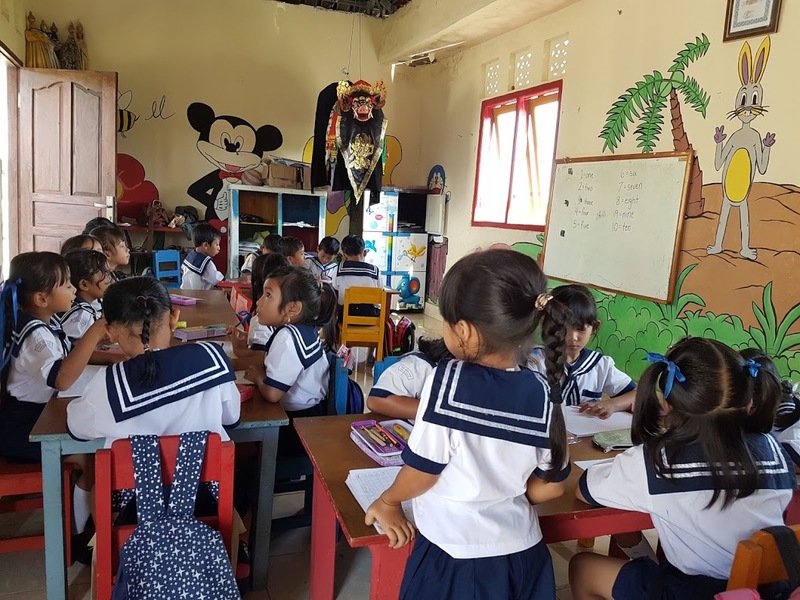 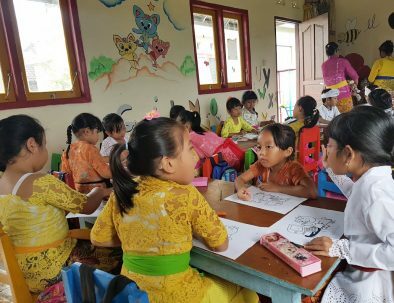 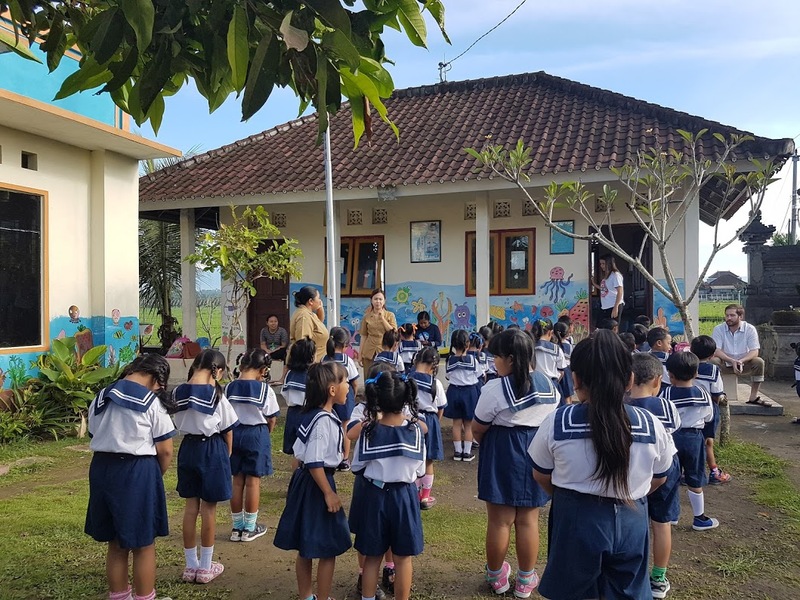 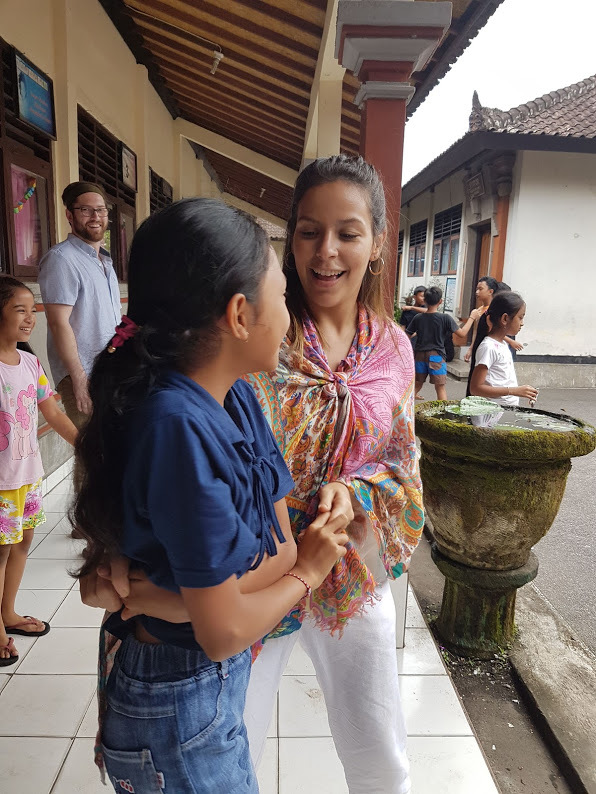 At the project in Bali we support local children between the ages of 7 and 11 years old with English education, an opportunity they otherwise would not have. 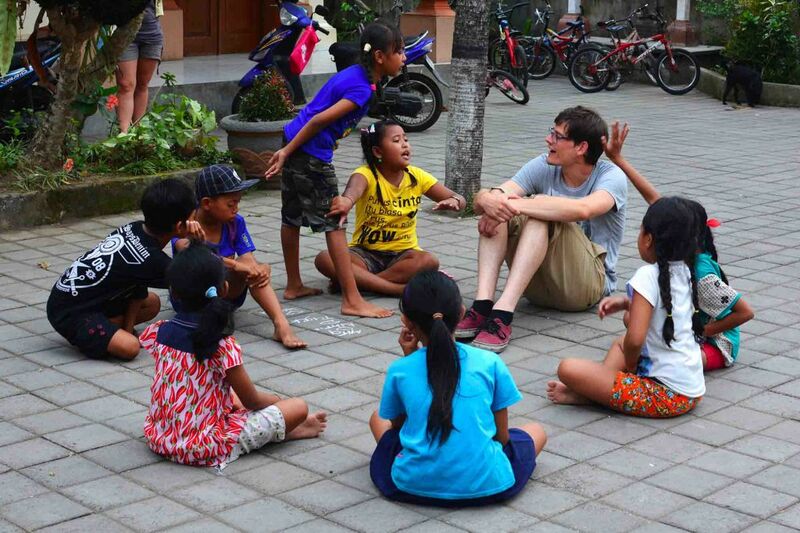 Do you have a passion for creating activities, learn and love to find creative solutions? 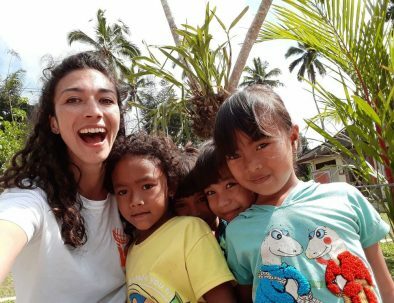 Then volunteering at this project is perfect for you. 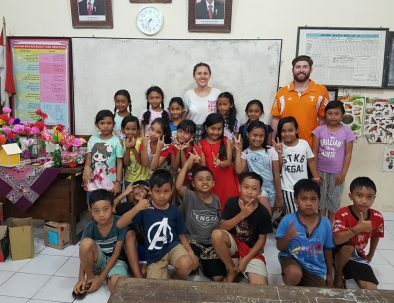 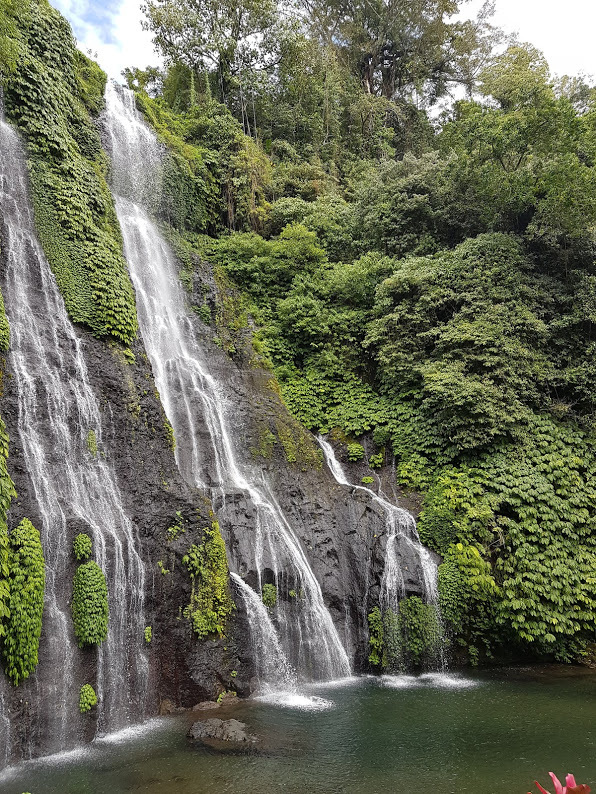 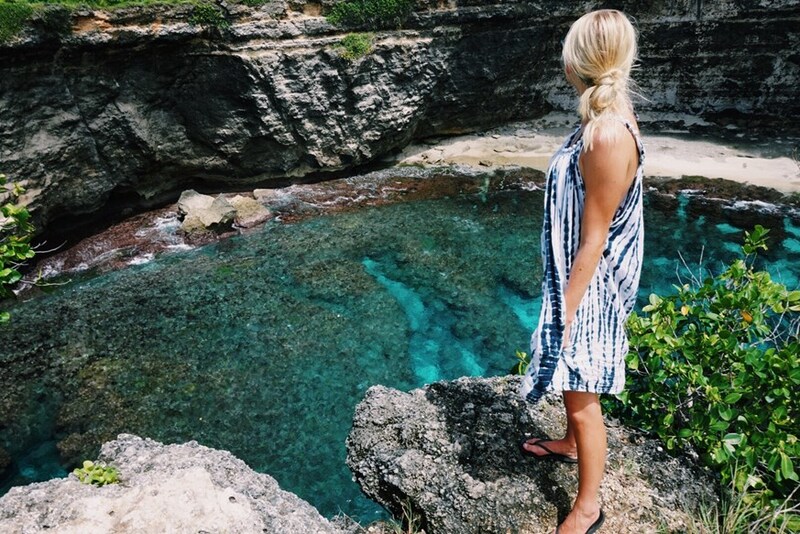 Take the chance to volunteer with education at the same time as you experience beautiful Bali. 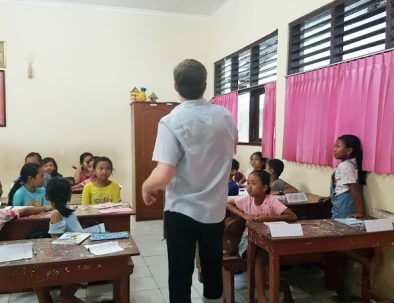 Working as a volunteer at this project, your knowledge and previous experiences will be put to good use. 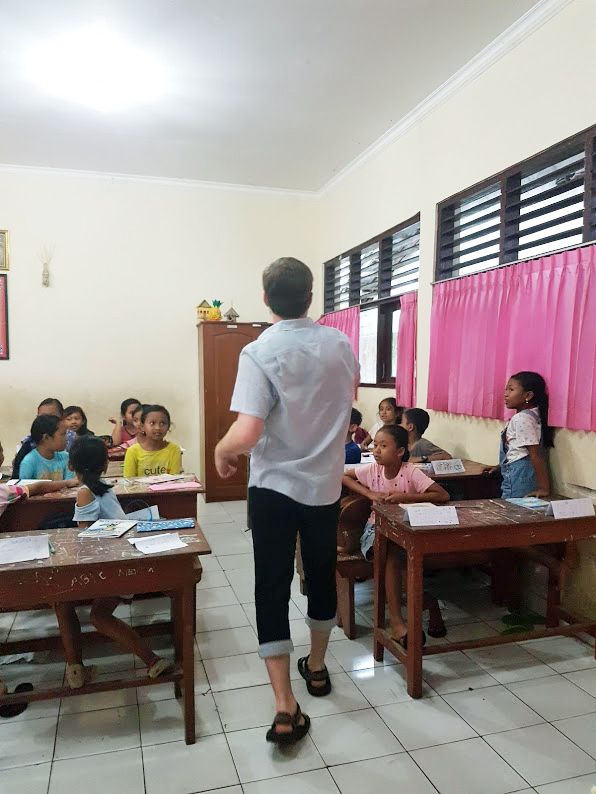 You will increase the students’ knowledge of basic written and spoken English through games, storytelling and pictures. Our aim is to make the children ready before starting primary school. 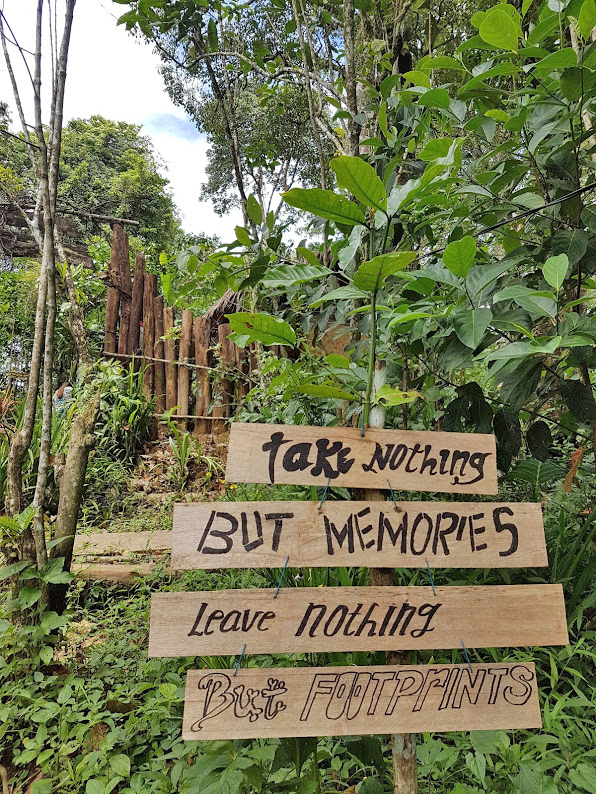 No days are the same. 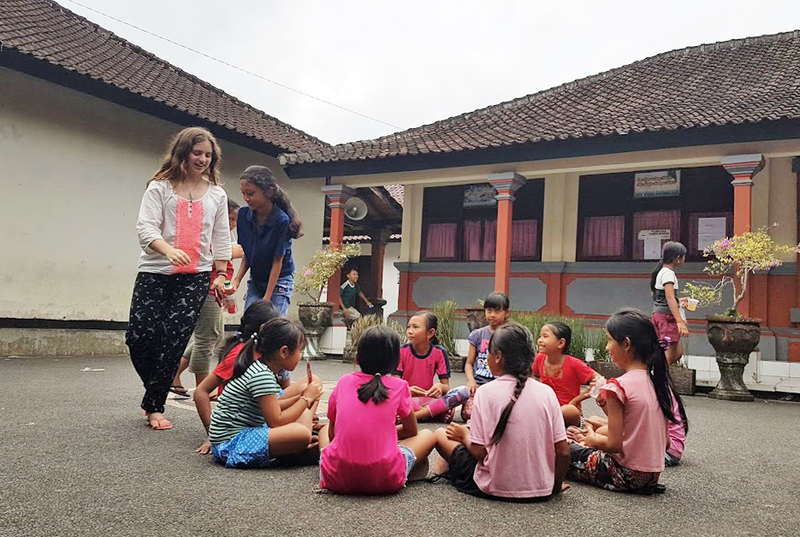 You should have an interest for working with children and youths, be open-minded for new cultures, enjoy working in teams and be creative. 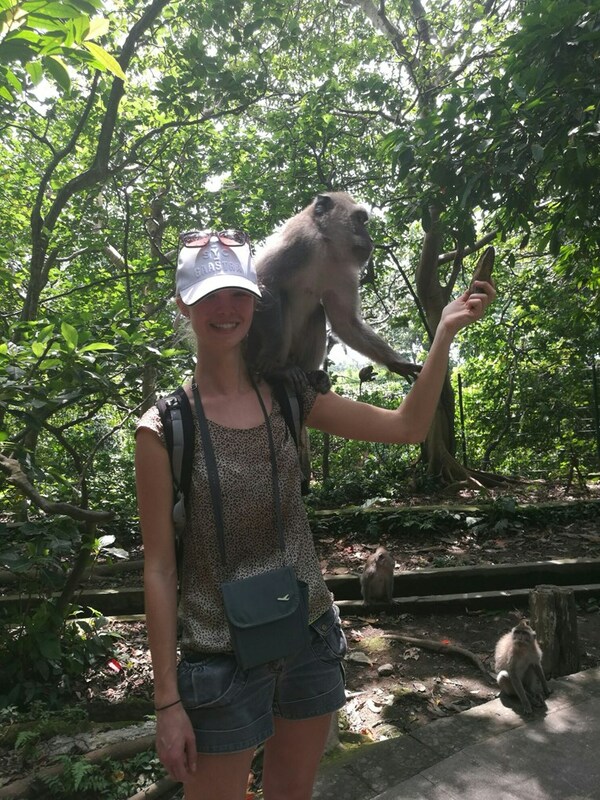 You will work around 09:00-17:00. In the mornings it´s preparing time from 9.00-11.00 and in the afternoon it´s teaching time in the school, start from 14.00-17.00. 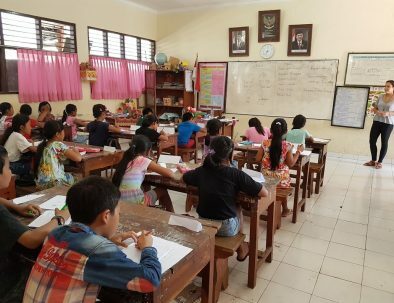 These hours includes lessons, different activities and breaks. 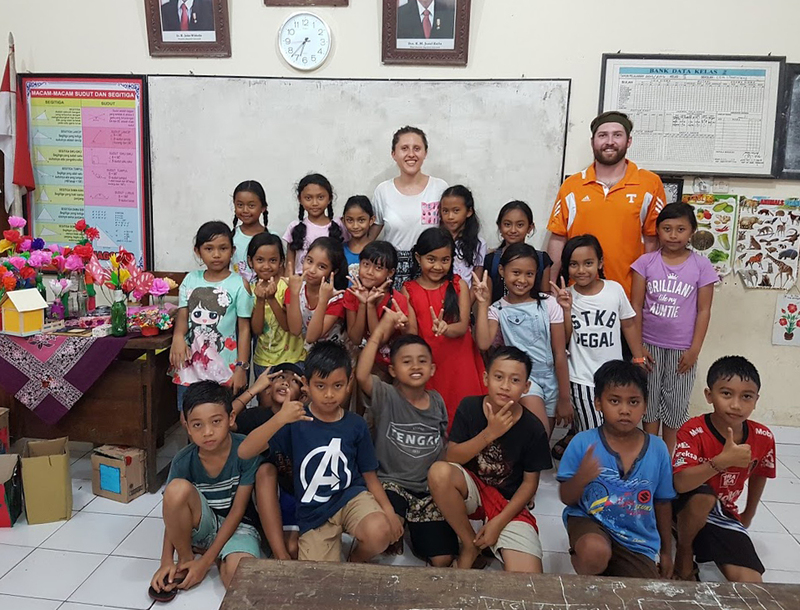 Our teaching program in Bali is a project which supports local children between the ages of 7 and 11 years old with education for free. 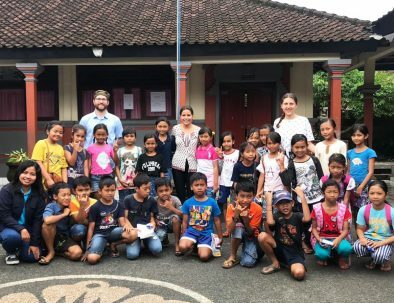 These children have no opportunities to study English. 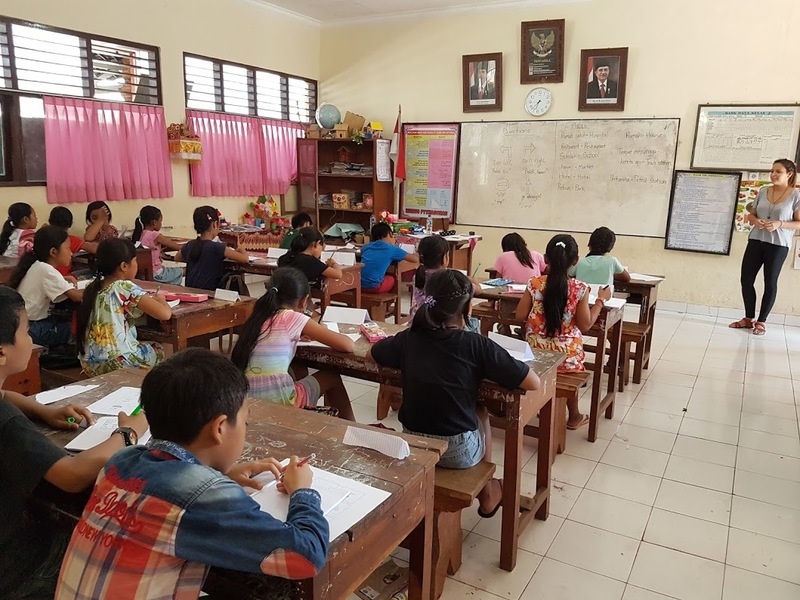 There are many children who cannot read and write English in Indonesia. 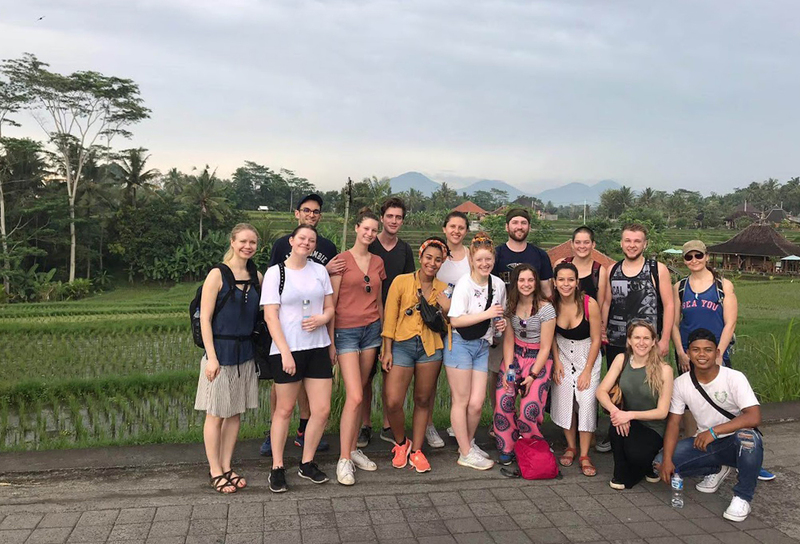 With your support we strive to give them the confidence to communicate with people from other countries and also to get a better career in the future. 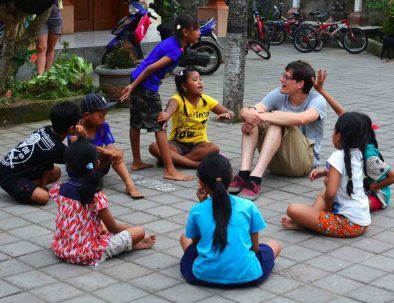 The projects are run in collaboration with a local partner who has extensive experience in hosting volunteers. 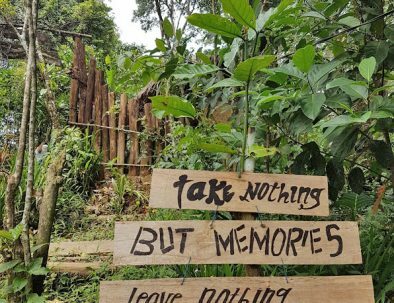 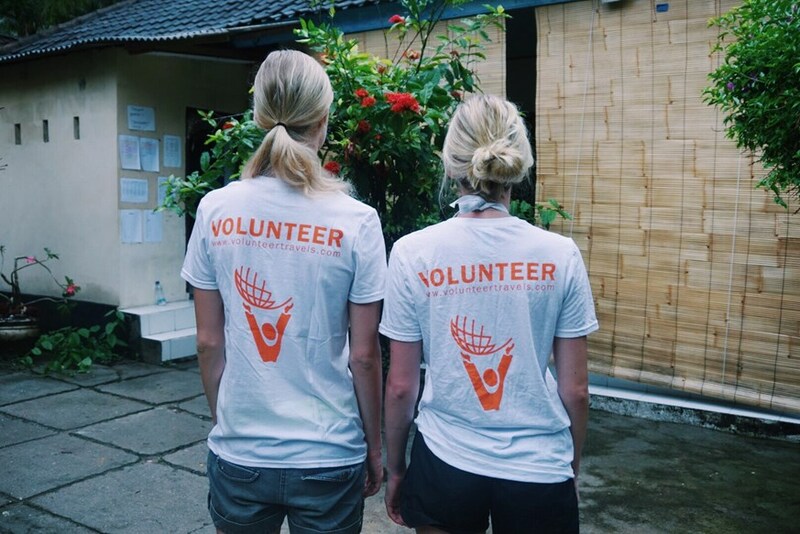 Thanks to this partnership, Volunteer Travels can offer you a well-organized and safe experience as a volunteer. 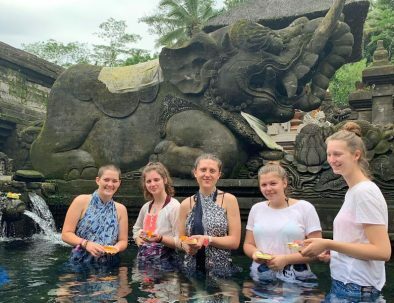 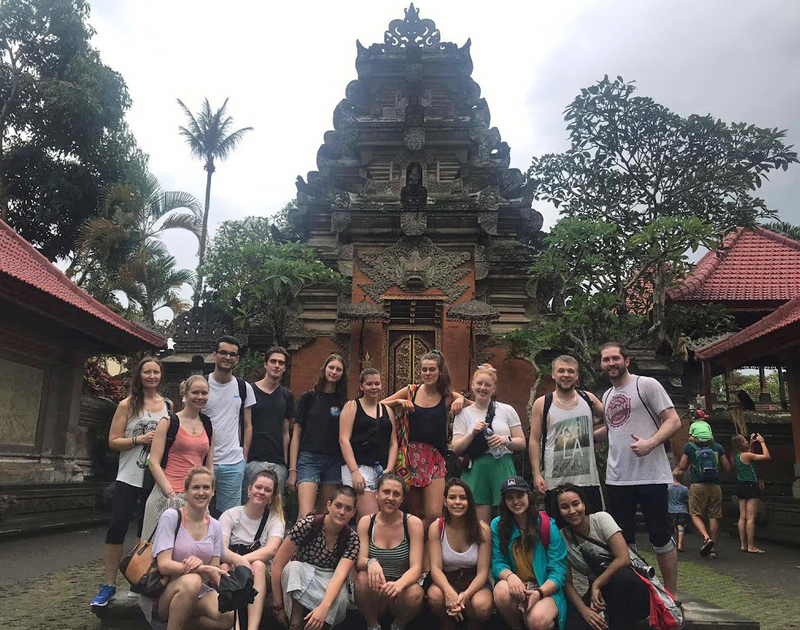 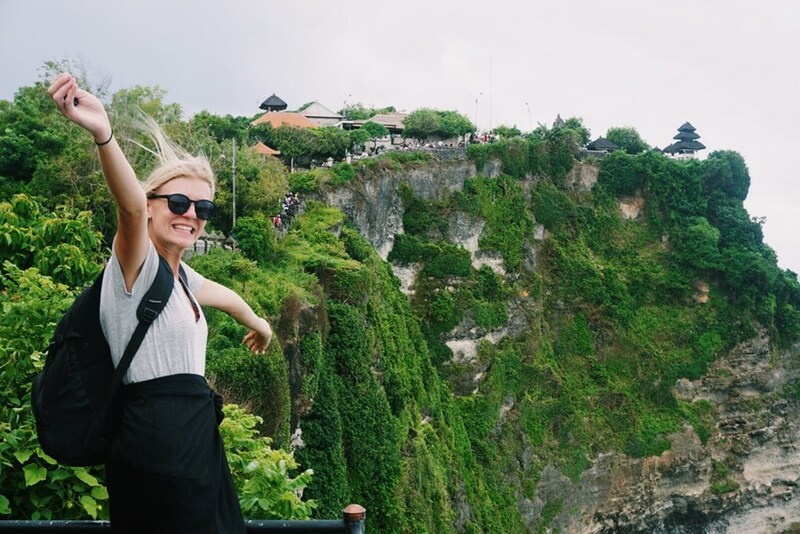 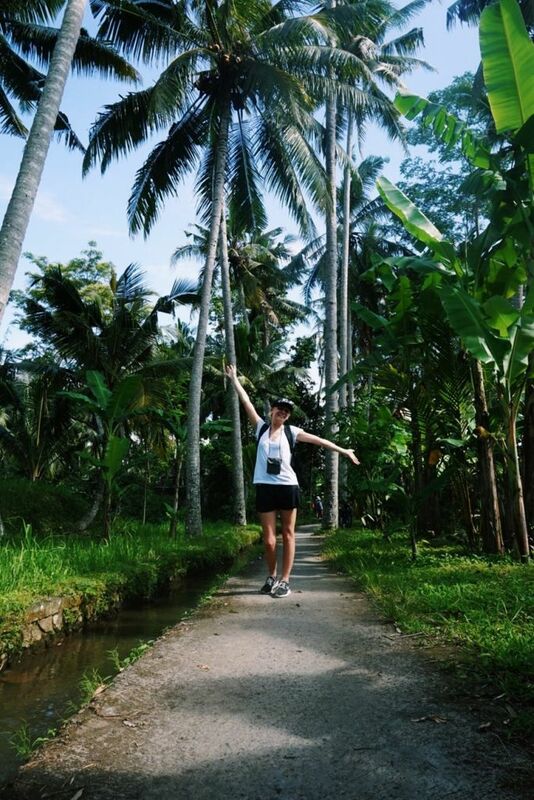 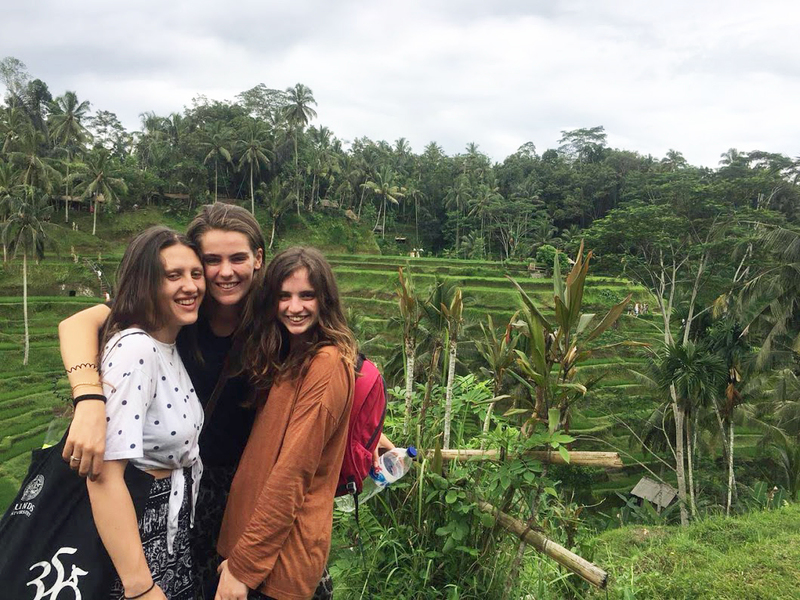 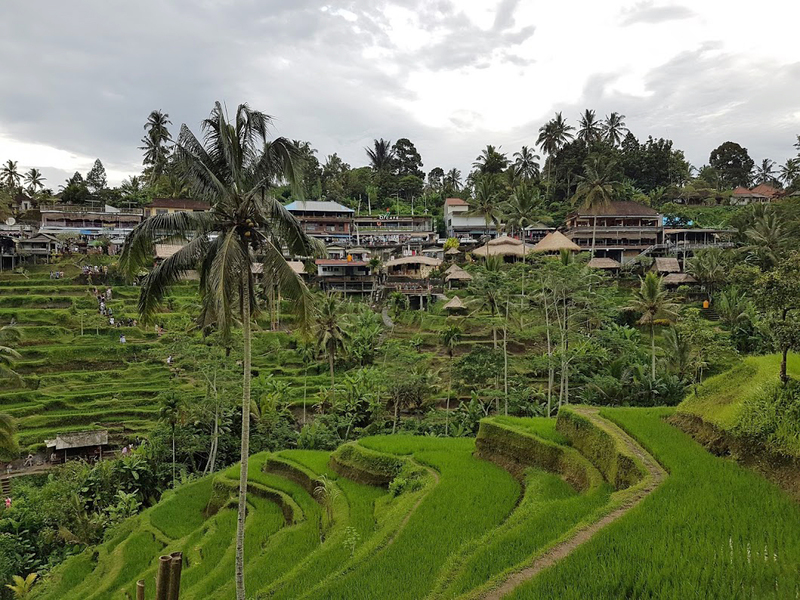 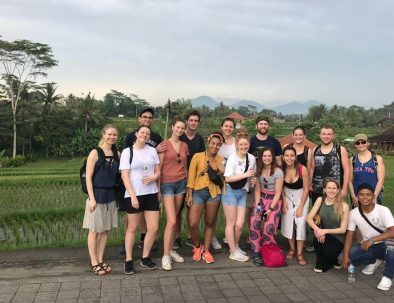 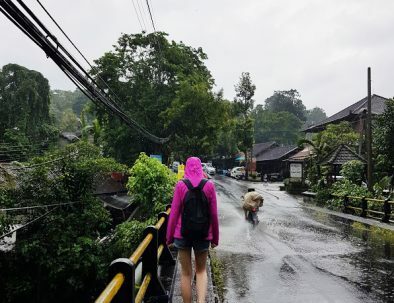 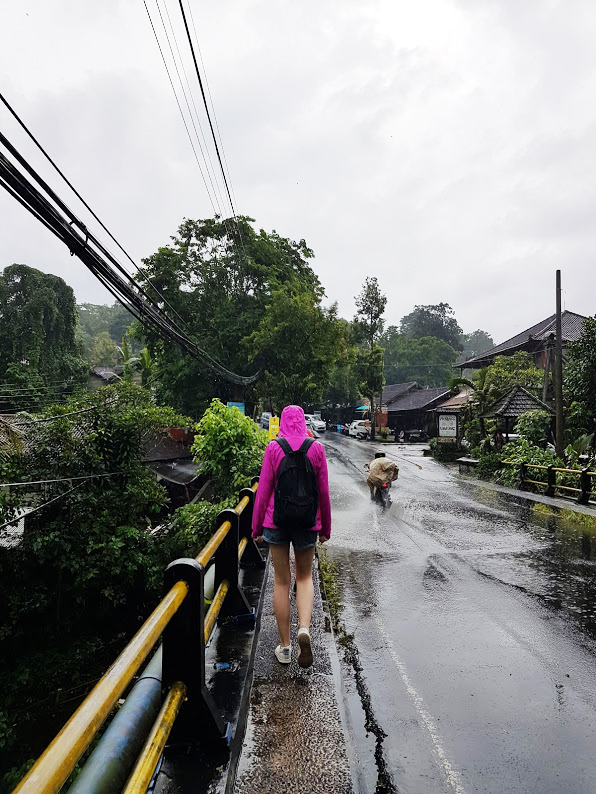 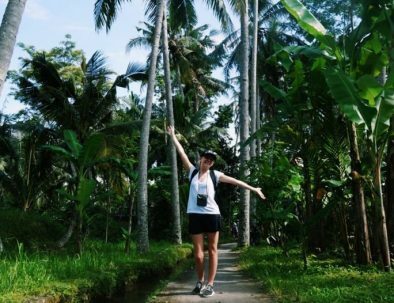 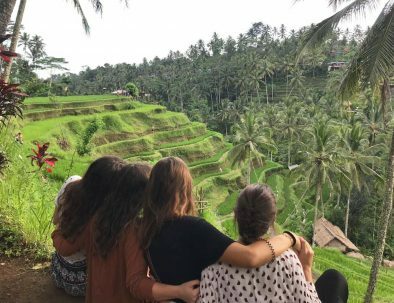 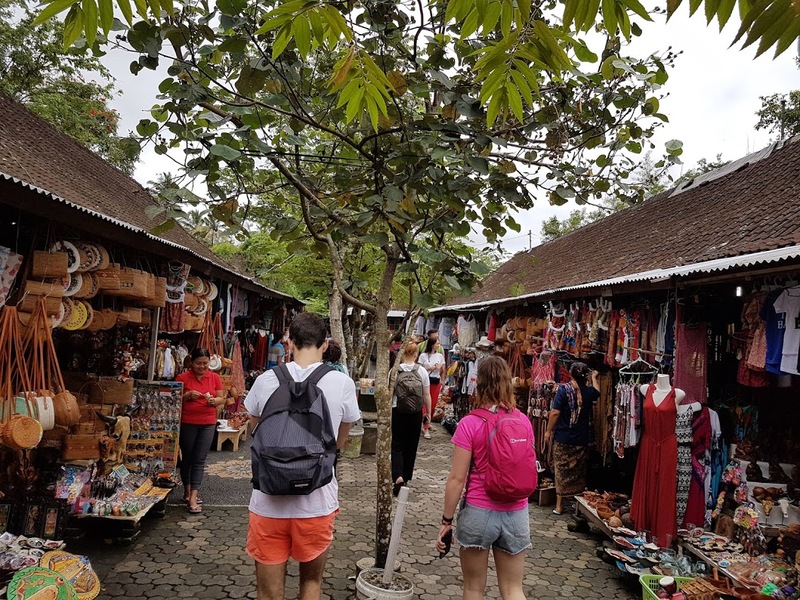 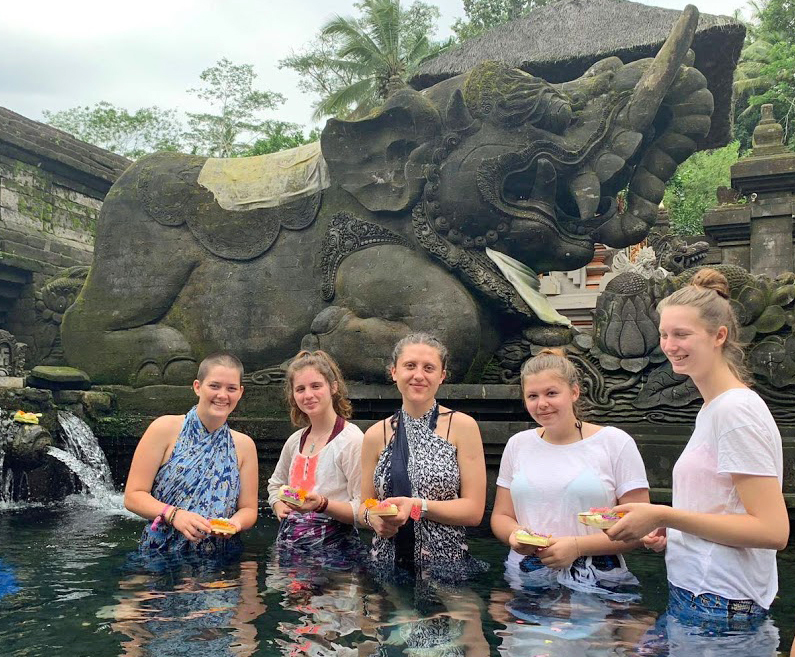 You begin your journey with an exciting orientation week in the town of Ubud, which includes adventure and cultural tours to learn more about the Balinese culture. 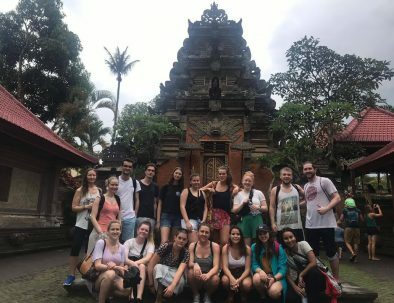 As a first step in the orientation week you will receive a basic language course and an introduction to the Balinese culture. 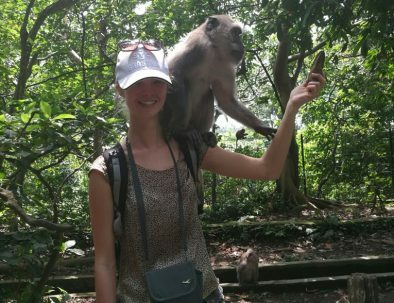 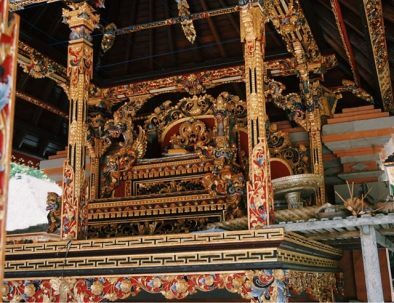 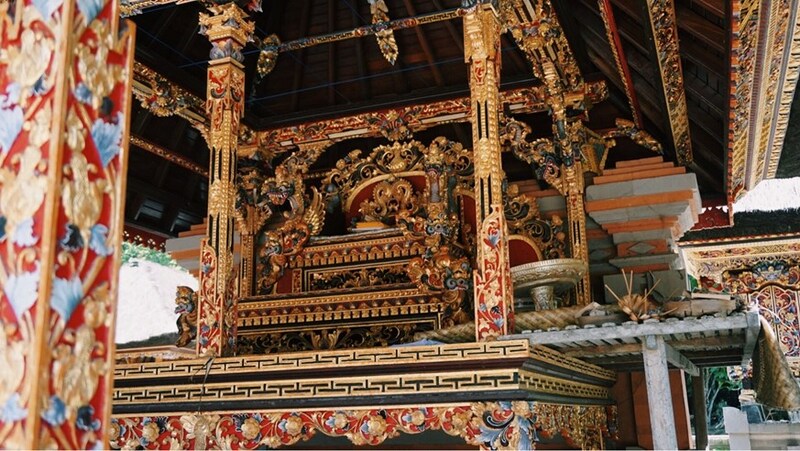 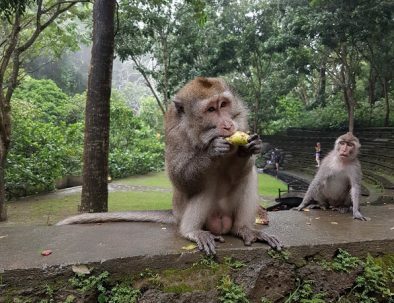 The week also includes visits to various temples, a tour of Ubud and the famous “monkey street”. 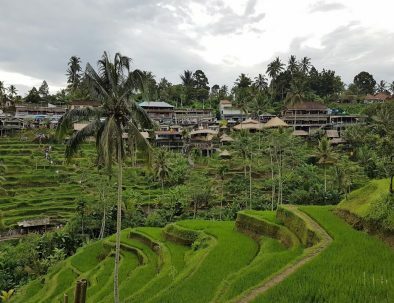 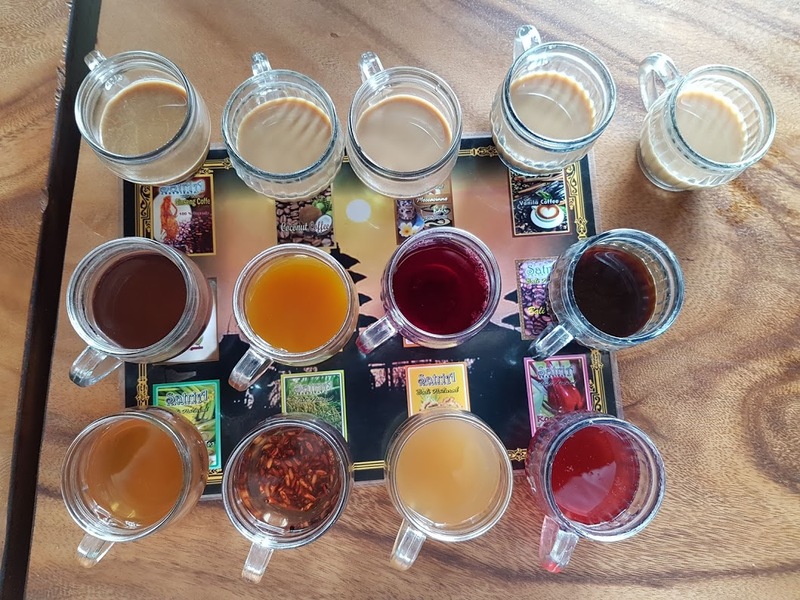 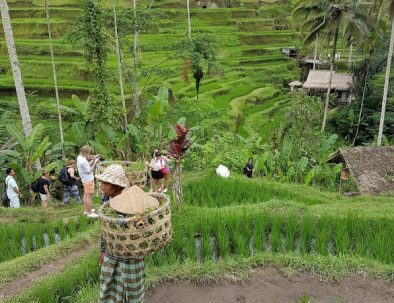 You will also experience the traditional Balinese dance performance, trekking in the rice fields, and you can also learn how to cook in the Balinese fashion. 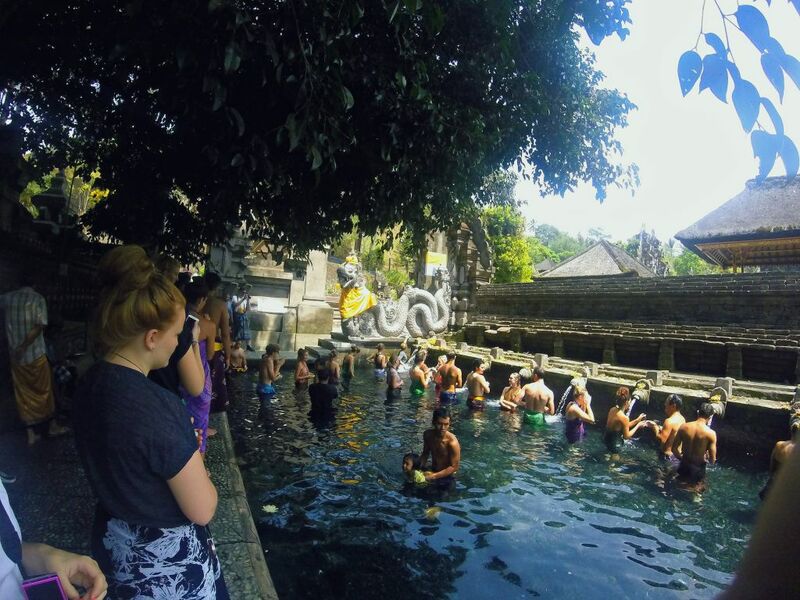 Finally, take a spiritual tour to the famous temple “Pura Tirta” and dip in the holy water and pray for good luck. 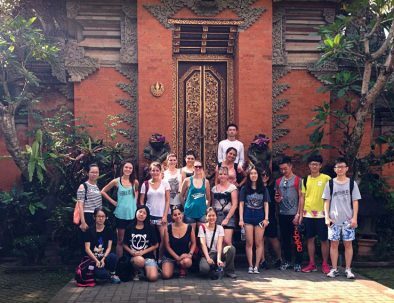 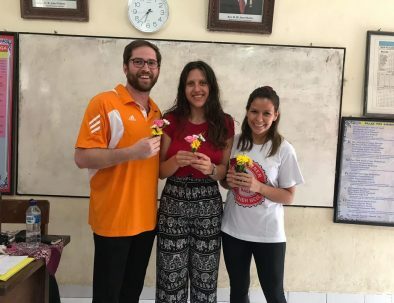 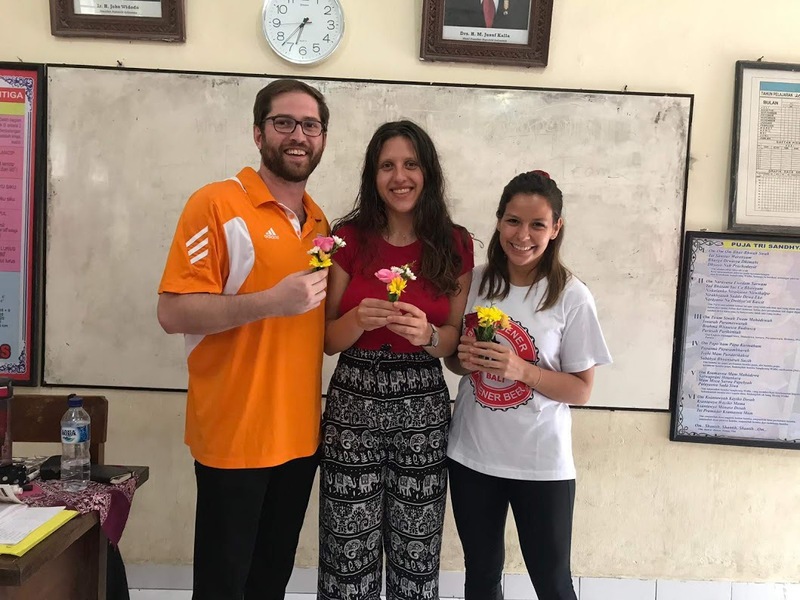 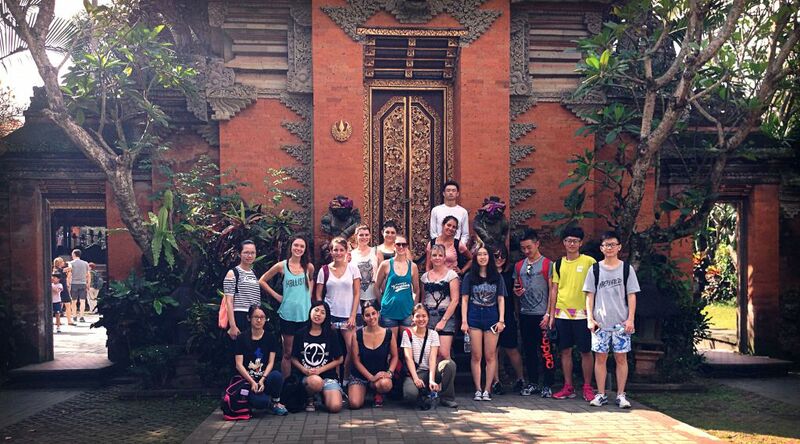 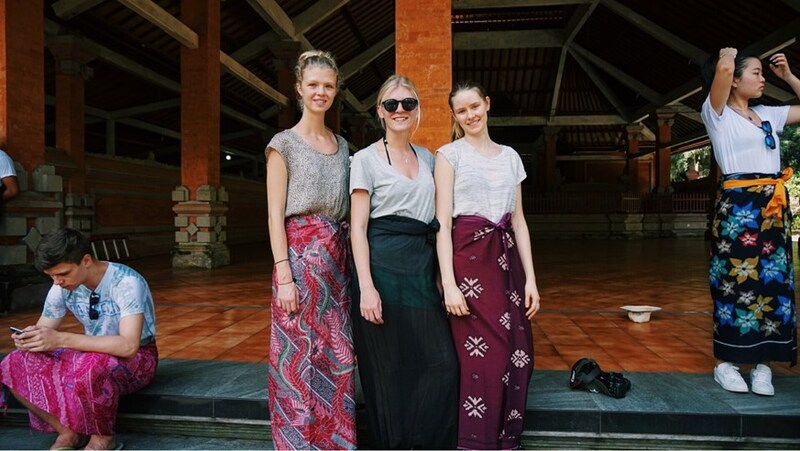 After the introduction week is over, it’s time to begin your volunteer work at the school in Ubud. As a volunteer you live together with other volunteers from around the world at our volunteer centre in Bali. 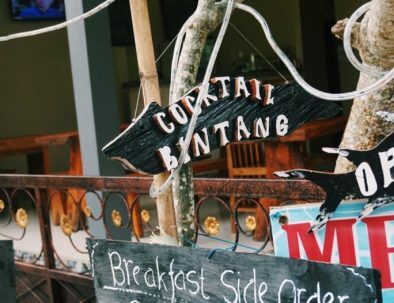 You will be served three local meals during the weekdays, breakfast, lunch and dinner. 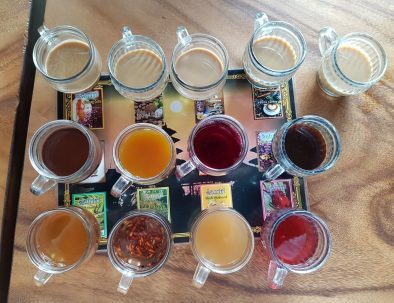 At the weekends you will be served two meals a day. 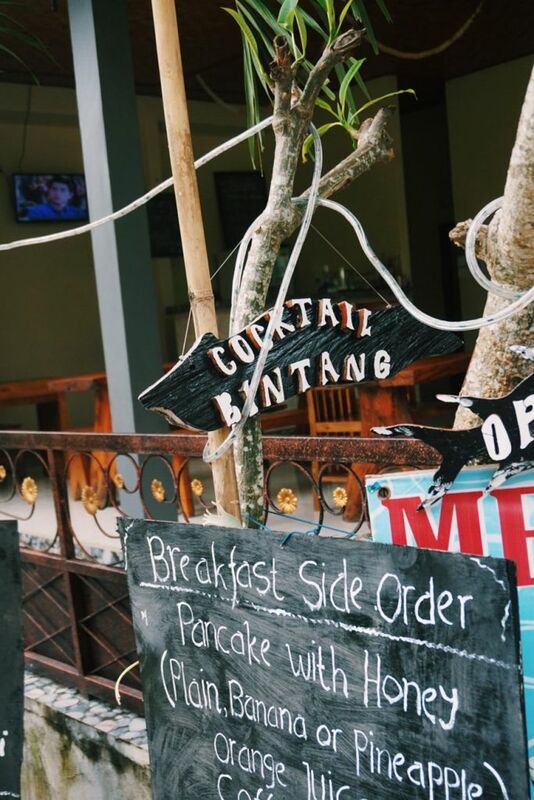 They also provide for western dishes some of the day. 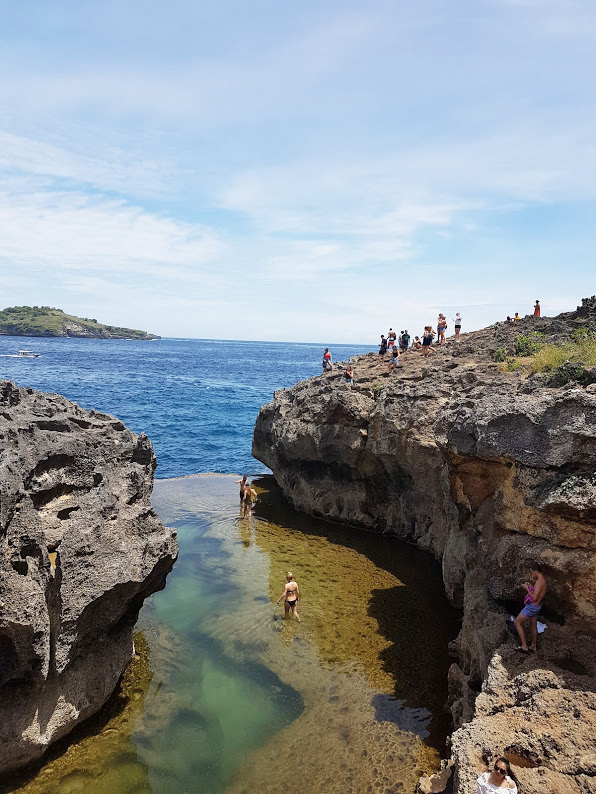 If you want to upgrade accommodation there are two option that is available to book. 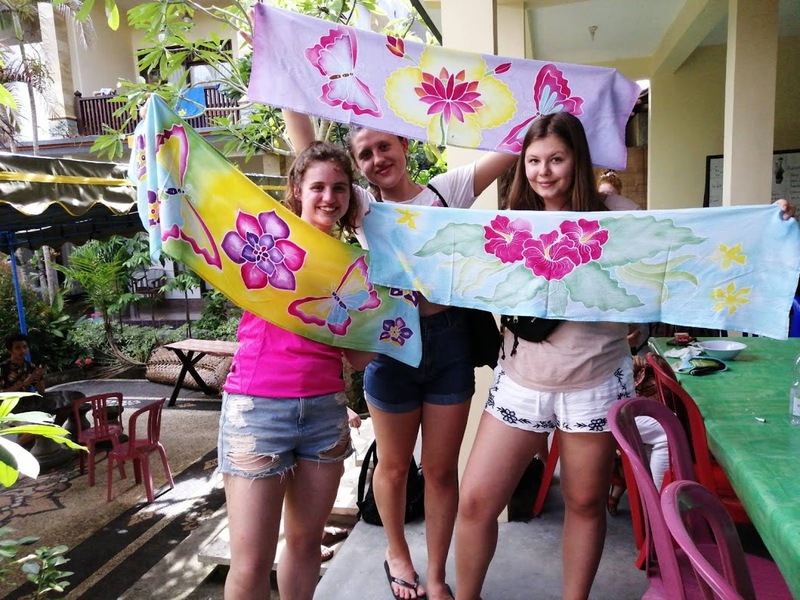 One is a private room with en-suite (105 EUR/week) and a private villa (140 EUR/week). 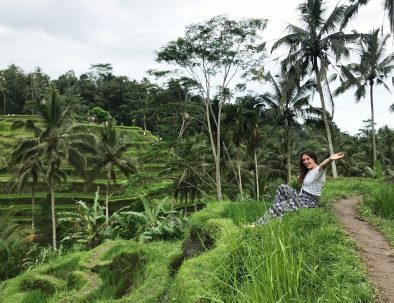 Indonesia is an amazing country with a lot to offer. 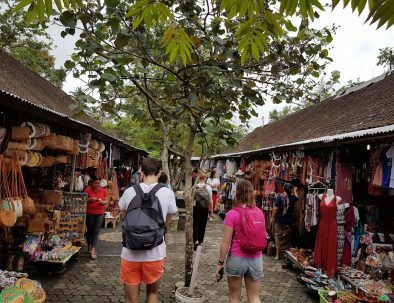 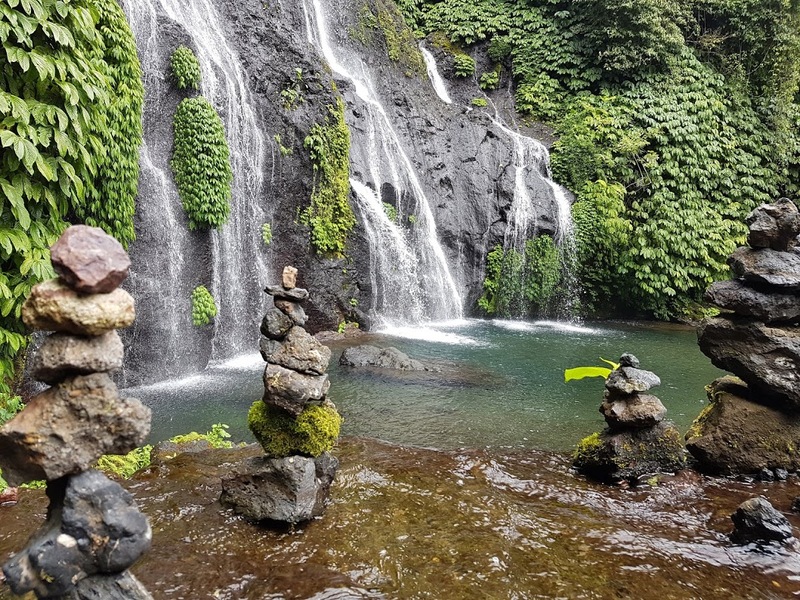 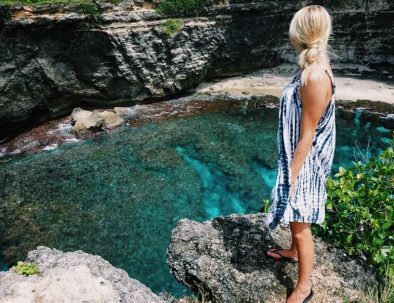 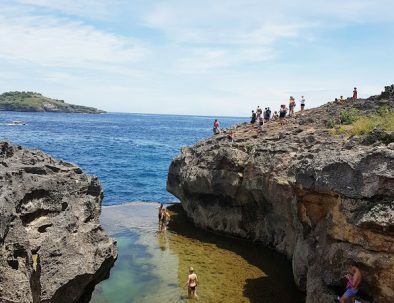 Bali is one of the more well-known places in Indonesia and you will have the possibility to try a lot of different activities. 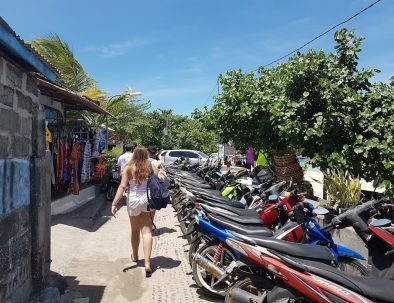 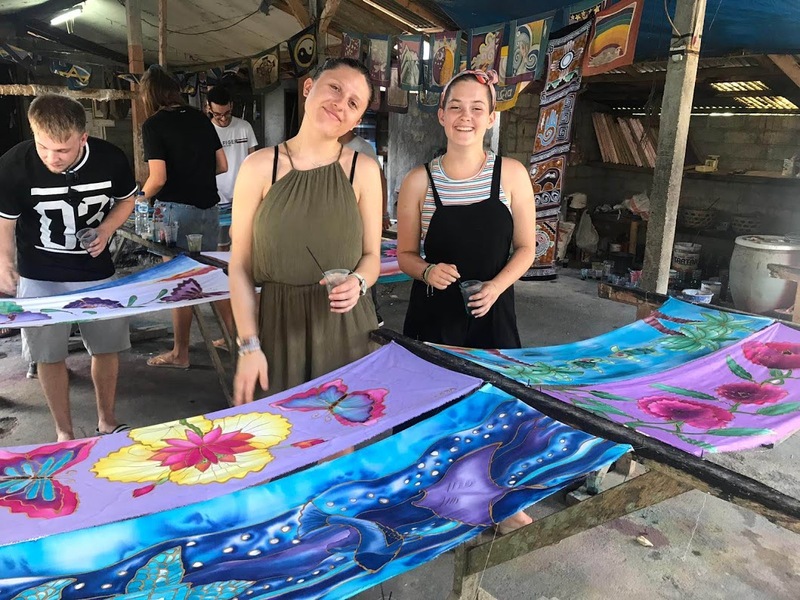 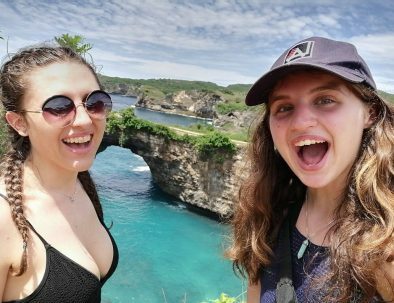 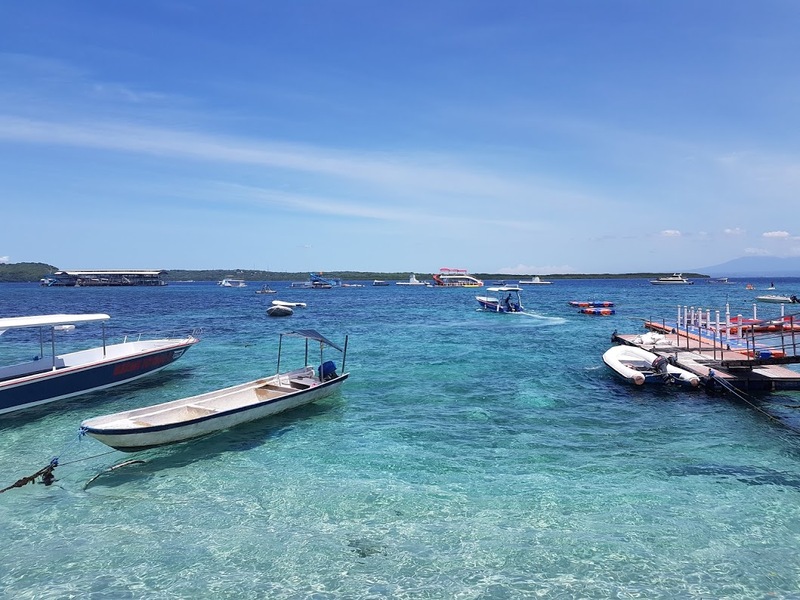 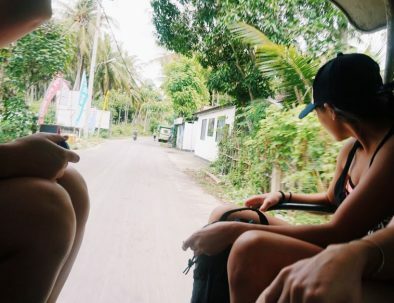 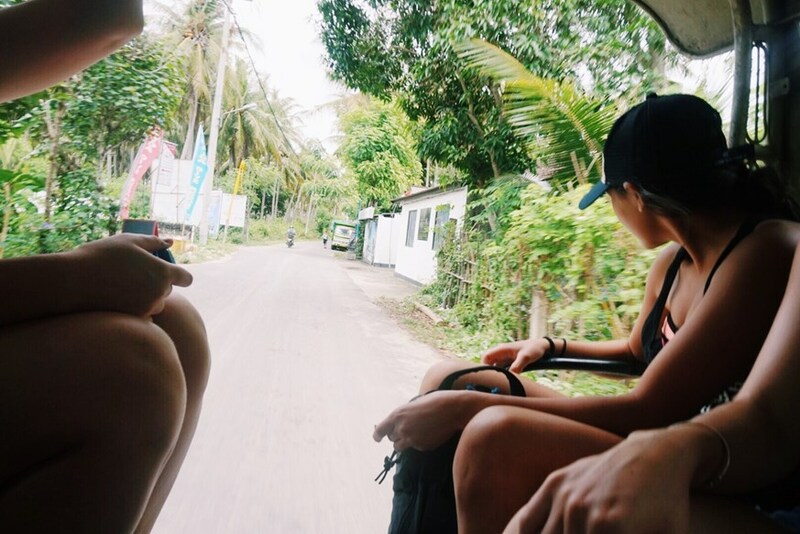 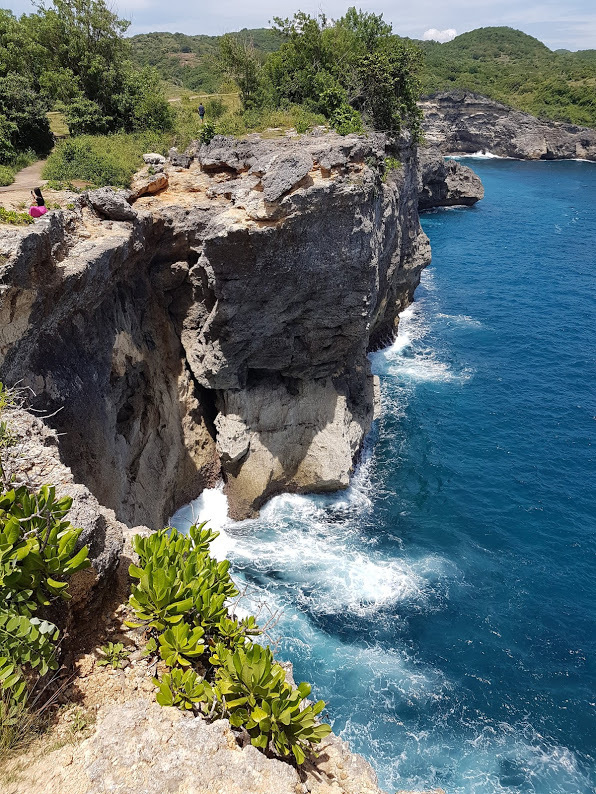 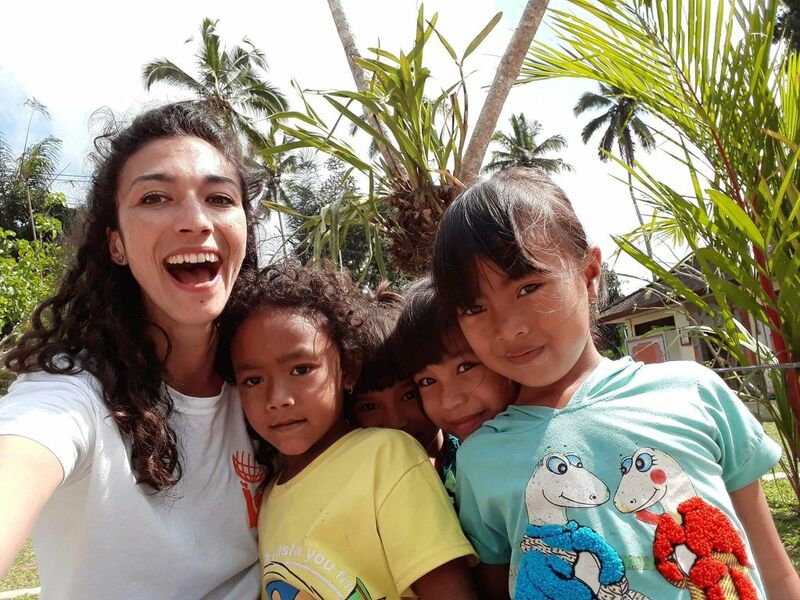 Maybe you want to learn how to surf, or to take a diving course and get a certificate, why not do it in Bali and create more wonderful memories with your volunteer experience? 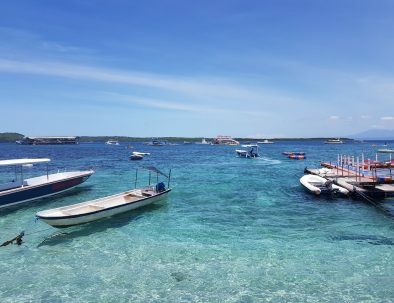 In south-east Asia the fascinating island kingdom of Indonesia, is made up of over 17,000 large and small islands of which only 6,000 are inhabited. The landscape is magnificent with its beautiful volcanic scenery, snow white beaches and tropical jungles to its snow-capped peaks of West Papua. 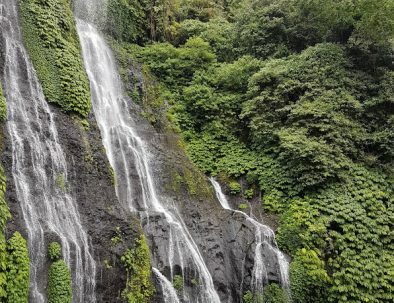 Indonesia has the world’s second largest rainforest with unique flora and fauna, including the amazing primates, the Orangutans. 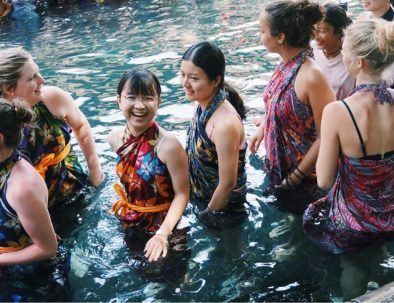 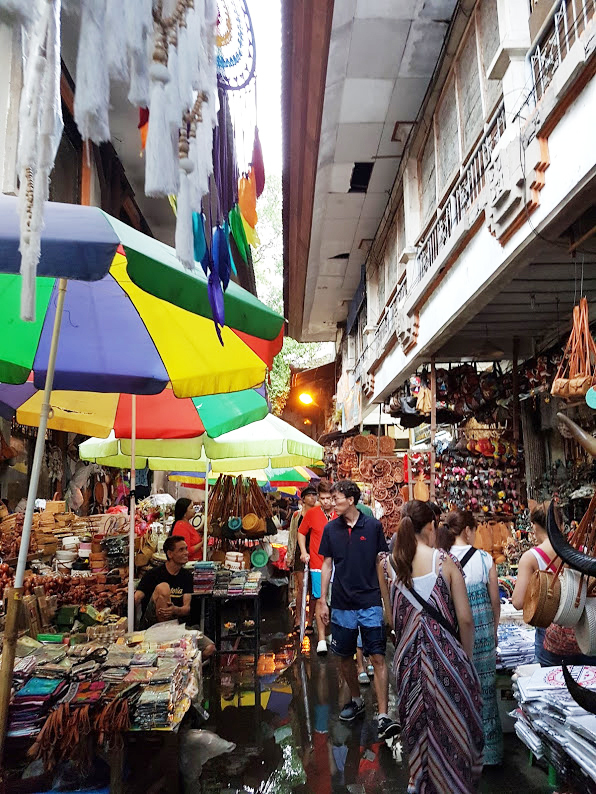 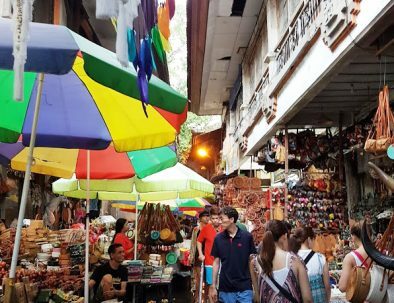 This country can be described as one of great diversity, where the people, customs and practices vary considerably in each and every province, making each state feel like you are traveling to a new country. 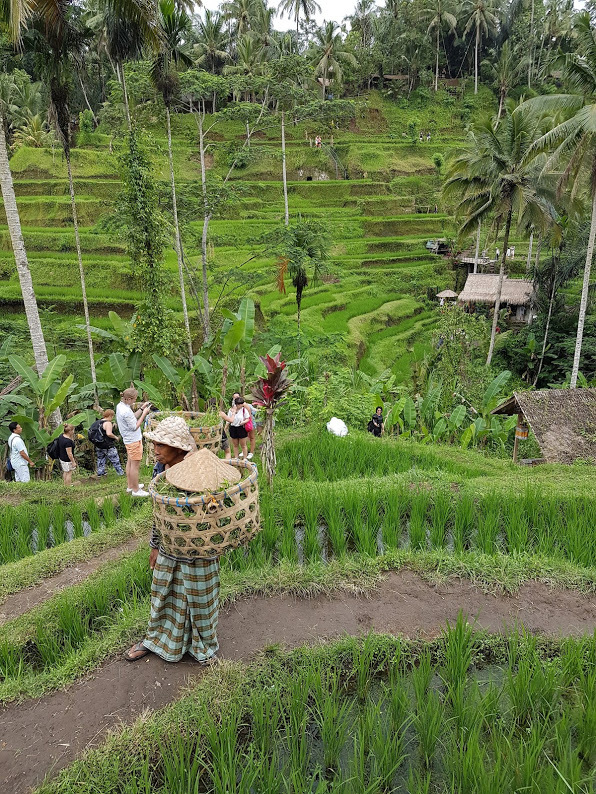 Indonesia has 215 million people inhabiting its islands – from more than 200 ethnic groups! 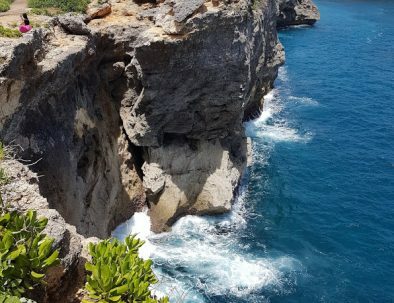 Flight tickets are not included in the price of the trip. 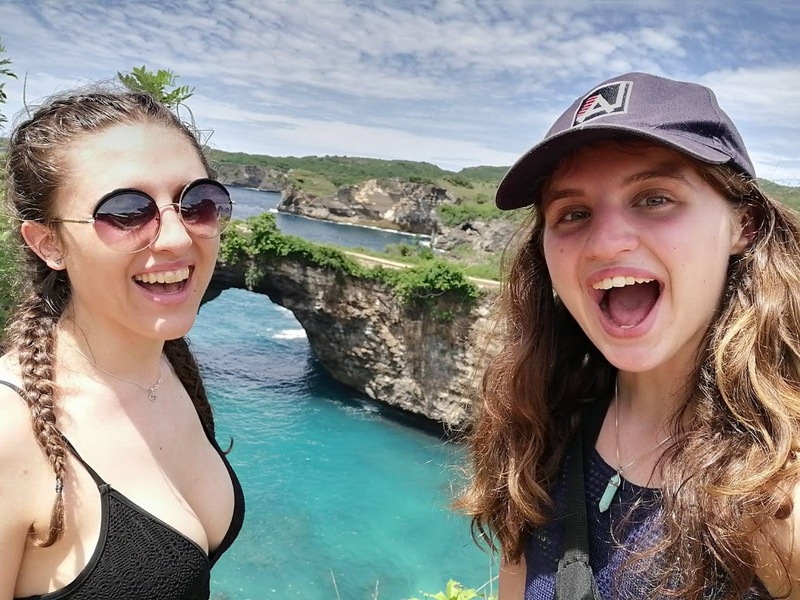 Your ticket should be booked so you arrive to Bali, on Sunday (the day before the project starts). 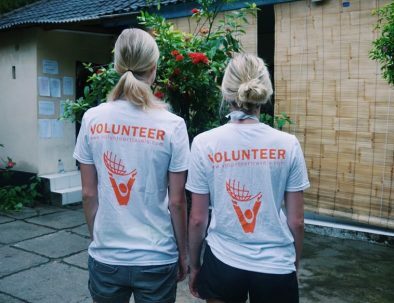 Your last work day would be Friday after the number of weeks you have chosen to work as a volunteer. 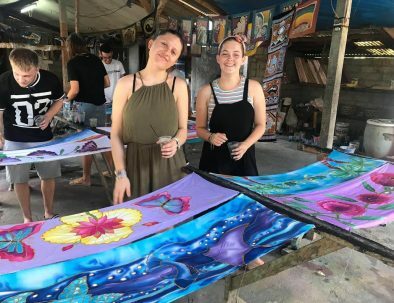 If you would like to travel home straight after the end of the project, then you should book your return ticket to the day after, that is Saturday. 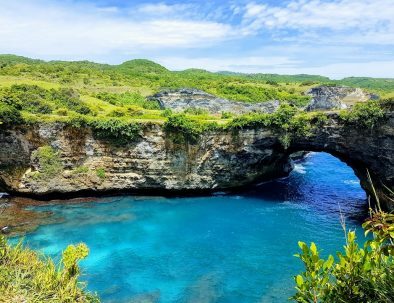 Make sure that you check that the arrival and the departure dates on your ticket are correct. 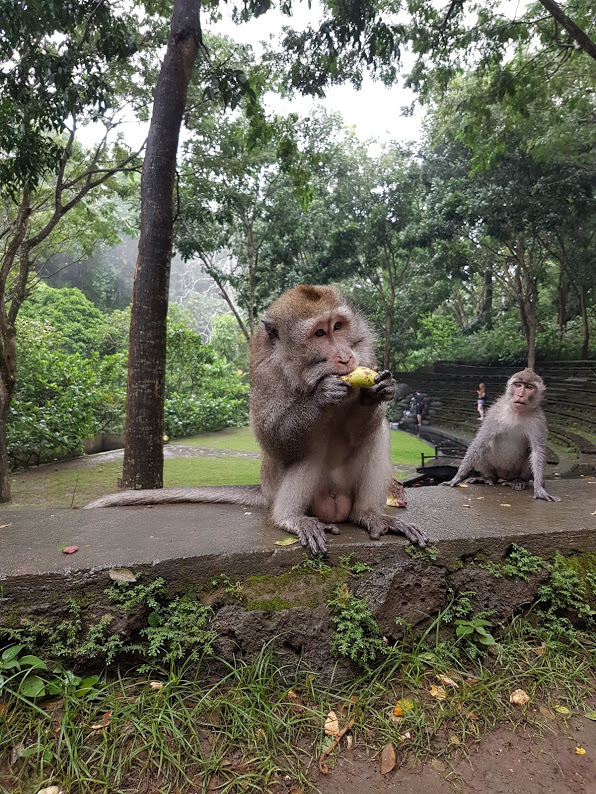 For any questions regarding vaccinations, you should contact a vaccination centre in your home country. 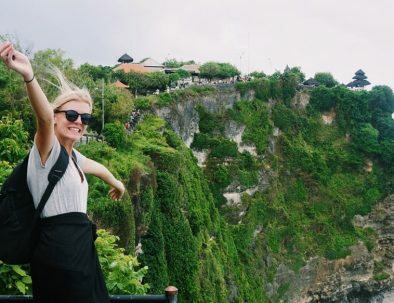 They will tell you which vaccinations are necessary for traveling to Indonesia. 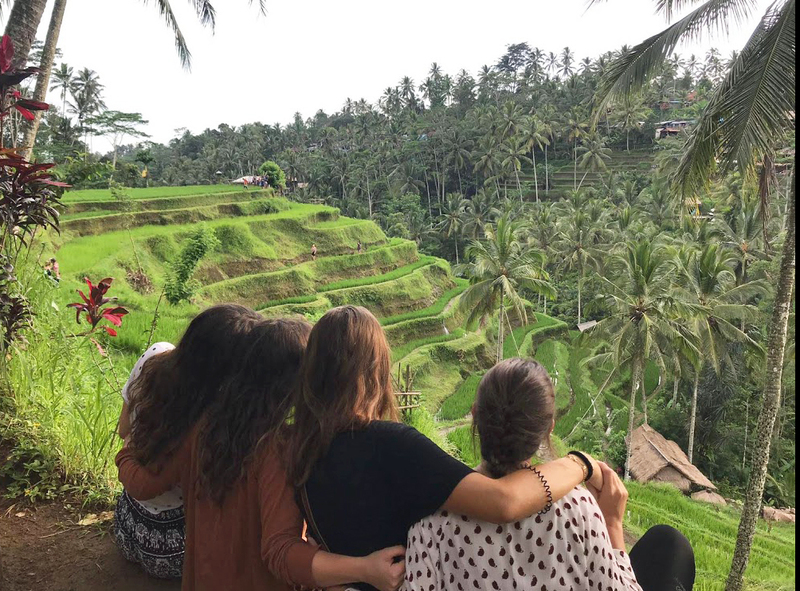 Vaccination against Hepatitis A and B and tetanus is always recommended when travelling abroad. Languages: Hindi, tamil, english etc. 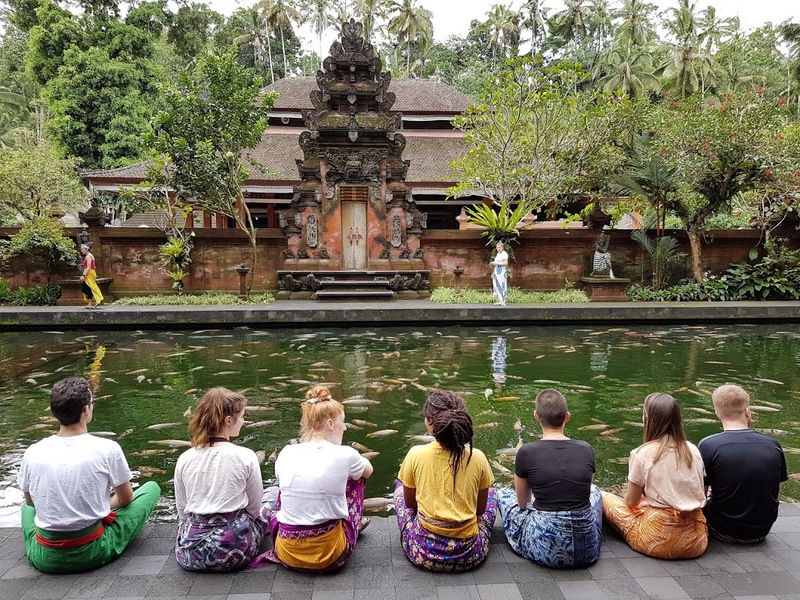 Galungan and Kuningan ceremony (Hindu Ceremony) will be on April 03rd - 07th and Kuningan is on April 10th – 14th, It is one of the most important ceremony for Balinese people. 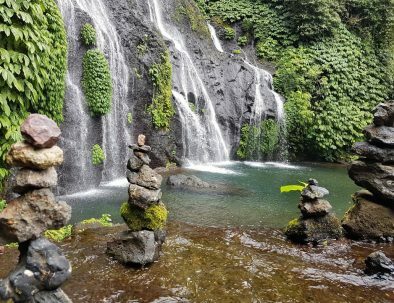 During that time there vill be other activities arranged.